These are illumination design works I joined as one of team members at a lighting company. Many lamps and optical fibers were controlled by a dimmer system, so that lively light installation could be realized on the wall of Kobe Marui, a commercial building. 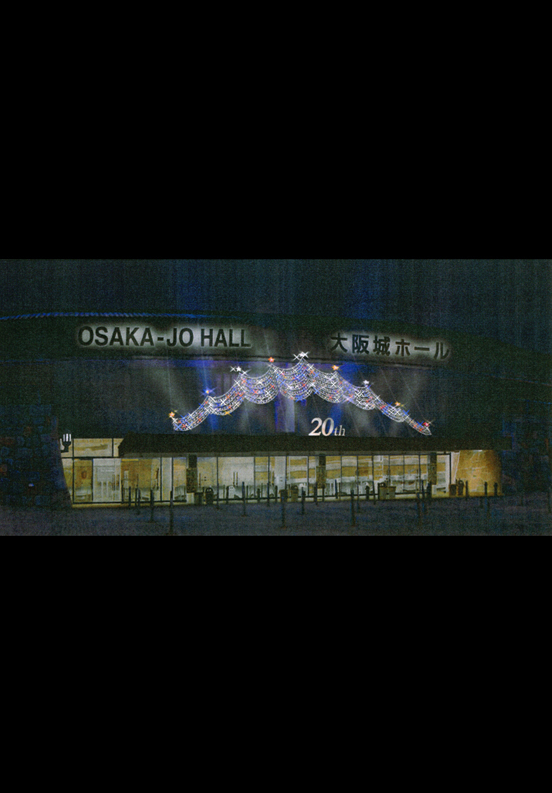 At a big event hall called Osaka Jo Hall, our team created the limited-time illumination cerebrating the 50th anniversary that metal ornaments swung in the wind were illuminated by colorful lamps set on the roof. Also worked on illumination design presentation at some competitions.